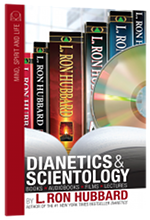 To find out more about Dianetics and Scientology principles and their use, request a free catalog of L. Ron Hubbard's books, audiobooks, films and lectures. Please fill out this form to receive your free catalog. Your information will be kept private and is not shared with any third parties. Mijn Filosofie Researching in The Humanities Filosofie triomfeert na 2000 jaar Antwoorden van Scientology Wat is Grootheid? Kunstenaar Schrijver Writers & Illustrators of the Future Literary Legacy Musicus Fotograaf Filmproducent Author Services, Inc.